When we talk about phones, it’s very important part of our life now days. Technology provides us all in one Gadget which works similar to a computer. Just think once, you are going somewhere and all of a sudden it started raining. What will come to your mind first? I know it will be your phone or smart phone. It’s terrible if your phone gets switch off due to rain or it fell into water. I know, no one wants it ever. 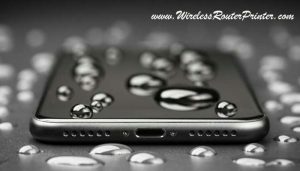 Today, I will share some of tips that help us to protect phone from water damage. In Monsoon season, it’s very important to protect your smart phone with waterproof case. It will be really helpful to protect your smart phone from water drops. Sometimes accidentally your phone drops at places which are full of humidity such as spa, shower, swimming pool or toilet. At that time waterproof case will keep your smart phone sound and safe. It’s a perfect method for those who are habitual of listening music or talking over phone. What all you need to do is to fit Bluetooth headset into your ear and keep your phone safe in pocket or bag whatever you carry. Now you are free to make or answer calls or listening music with relaxed mind. It does not matter you are walking on roads in monsoon season. If you are going out with your friends in monsoon season or on a rainy day, you cannot deny from some outdoor or fun activities. It will be good for you to take some important actions to avoid your smart phone to get wet. For an example, use waterproof bag to protect your smart phone and put it in bag or as alternates you can wear raincoats and waterproof jacket. And if planning to click pictures from smart phone in rainy season make sure whatever you are using to secure your phone weather it’s a jacket or bag, should be water resistant or waterproof. It will be better for you and your phone, not to make too many calls, if you are out and its raining continuously or heavily. Reason we all know that either it will be a risk to your phone or you can face bad quality of conversation. Still there is very urgent can and cannot avoidable. Please go to places like nearby bus station or any roof which will be free from moisture. 5. Wrap phone in a zip pouch. When it’s Rainy outside or Monsoon season, do not forget to take some necessary things with you. It can be anything like a zip pouch or plastic bags. They can help you from water drops that can damage your phone. Moreover zip pouches are very easy to carry, Portable and lightweight. We can you them in daily routine even. 6. Never hurry to charge your wet phone. It is nowhere necessary that your phone can be damage due to heavy rain. Let me tell you our phone can be damage with a single water drop. Hence, best for your phone will be to keep it on a place free from moisture. When we are talking about phone charging in a rainy day, make sure it should not wet at all. Anyhow, if you are aware your phone is wet, never hurry to charge it. The reason behind is, phone can be permanently damaged. Just relax and follow the below given two steps. Take any dry paper or soft cloth and immediately remove moisture from your phone. If you see your phone seriously wet. Do not panic, simply turnoff your phone and keep it in uncooked rice for some time because uncooked rice can absorb moisture easily. This way your phone will be safe. I have already mentioned some important measures to protect your phone from water damage in a rainy day. Still you are required to use your phone then please pay attention to some parts of your phone like usb port, Jack of headphone and if you have fingerprint lock on phone. Keep all of these parts away from rain drops as it can be serious reason of your phone damage. Unfortunately we do not have any control over the natural disasters like water floods, Hurricanes and Typhoon etc. Even survival of human being is tough sometimes because these situations are uncontrollable. Our phone comes in no count. Therefore it is advisable to take back up of your phone data in those cases like phone numbers, Images etc. No one remember phone numbers these days. Hence it will be terrible if we lose contacts.